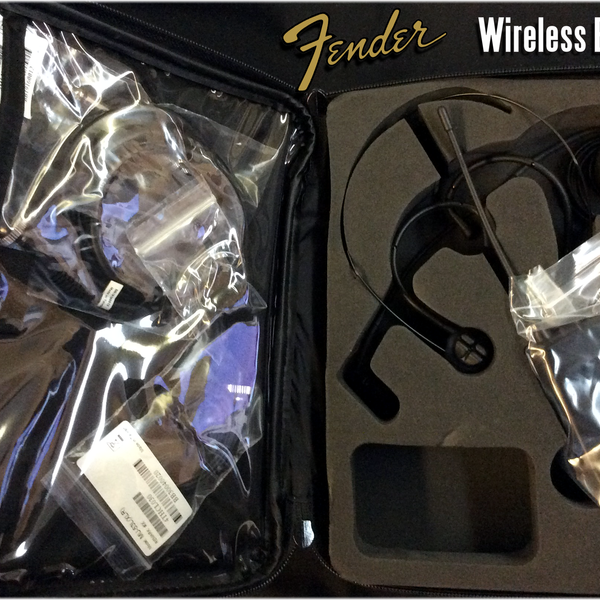 The Fender Passport Wireless Executive System is specially made for use with Fender Passport PA systems. 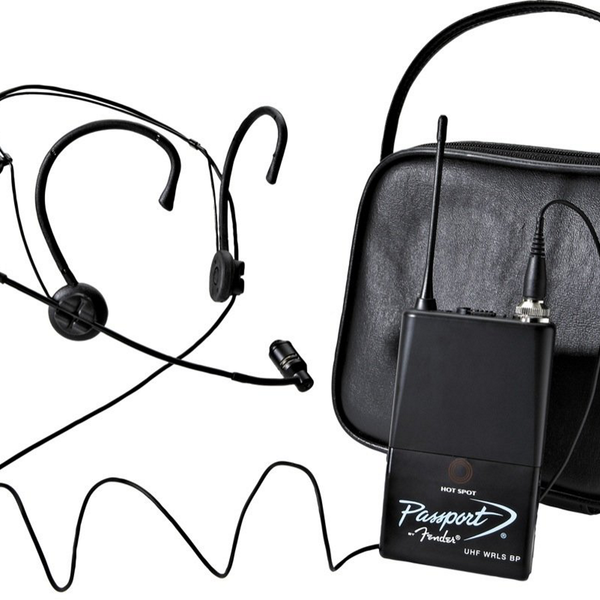 Includes 2 mics (headset and Lavalier), a beltpack transmitter, docking receiver and one instrument cable with the Passport Wireless Executive System. 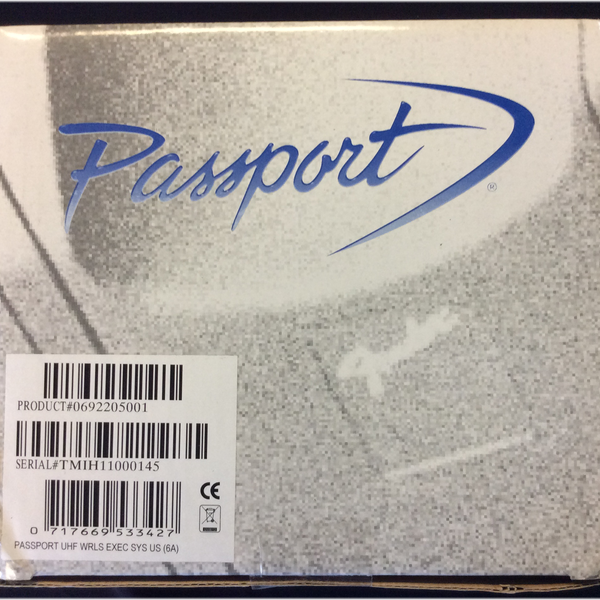 This system is perfect for teachers, auctioneers, and tour guides working with a Passport system. The wireless receiver docks in the rear compartment of your Passport and draws its power from there. It's a very reliable wireless solution for those on the go or who don't want to spend a lot of time and energy on setup. 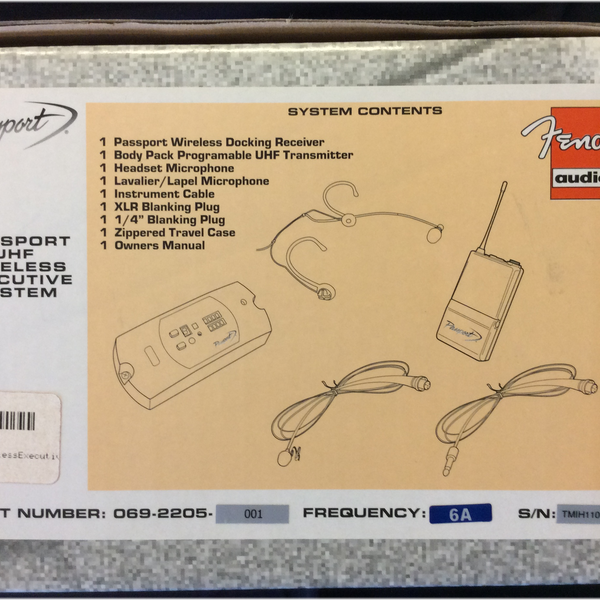 The Executive System's belt pack transmitter provides input versatility. 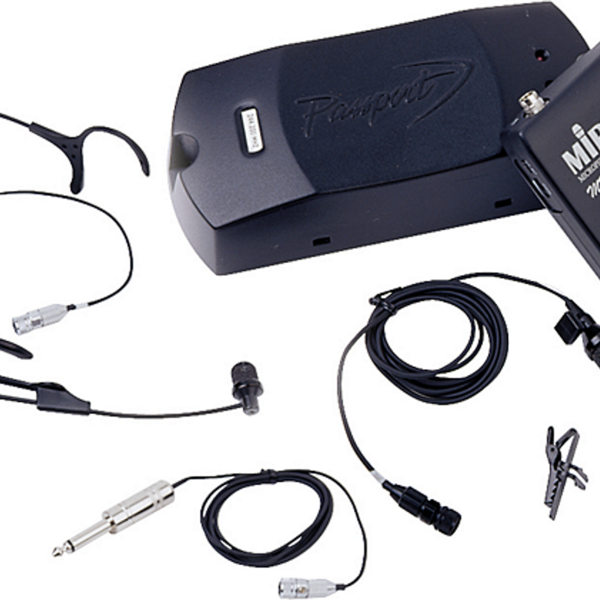 The included lavalier mic, headset mic, or instrument cable can be connected to the belt pack's single input. The 16-Channel selectable UHF receiver makes it easy to find a clear channel for your presentation. Quickly know what channel you're on or review the noise and RF indicators with easy to read status buttons. The handy belt pack transmitter has one input that can accept the included lavalier mic, headset mic, or instrument cable. It runs on a single 9-volt battery.